It’s been a long week for me both personally and at work. I’d like to finished out this week with a delicious Fall cocktail recipe that is sure to enhance your enjoyment of both the season and your weekend. This is another St. Germain cocktail, read more about St. Germain here; it may be time to admit that I’m addicted to the stuff. I first tasted this cocktail at Cochon 555 when we took our weekend trip to Chicago (read about that here) and love the apple flavor as it mixes with the St. Germain. The other reason I love this cocktail is because of the name: The Montparnasse. Montparnasse is a neighborhood in Paris and also happens to be the neighborhood where I went to school while studying abroad during college. You will also need a cocktail shaker and ice. Mix all the ingredients together in the cocktail shaker filled with ice and strain into a chilled glass. Garnish with a wafer thin slice of floating apple. I hope that all of you and I get a chance to relax this weekend! As they say in France, Bon Weekend! METHOD: Shake all ingredients with ice and strain into a chilled cocktail glass. Garnish by floating a wafer-thin apple slice. Resist temptation to regale guests with “wafer-thin” Monty Python impersonations. As the weather turns to Fall and football is back in season I always begin to long for a good bowl of chili. Chili is eaten in many different ways; growing up my mom always served it with mashed potatoes or rice, as an adult I’ve had it over pasta and of course there is also chili straight or in a cup with nothing to accompany it. As a self proclaimed food purist I enjoy my chili most, alone in a deep bowl of warmth. I remember making my first batch of chili about five years ago, I followed a basic recipe from my Better Homes and Gardens Cookbook. It turned out fine but had very little depth of flavor and I was left wanting to try a new recipe right away but the thing about chili is, it makes ALOT so by the time you’re finished eating it as leftovers and packed lunch, on hot dogs and nachos, an entire week has passed and you can’t stand the thought of eating one more bite of chili. In the end I probably make chili two times a year over the Fall and Winter. Each time I try and improve it but this time I think I have perfected my recipe. Please understand, chili is a very to-each-his-own type of dish and each person prefers their chili a little differently, thick or thin, lots of beans or few beans etc. This recipe is for a thicker chili that has tomato chunks in it and is lighter on the bean to meat ratio. I think what takes my chili from good to fantastic is what I like to call the trifecta of meat. After making a few tomato sauces using three different kinds of meat, it occurred to me that I could do the very same thing with my chili. My recipe calls for ground turkey (dark meat preferred), ground veal and hot and spicy sausage. These three combined make a truly memorable combination. The other ingredients that I think make this chili recipe great are the use of a bottle of beer in the simmering liquid which adds another layer of flavor to the chili and the addition of a tablespoon of cocoa powder which deepens all the flavors in the dish. Overall, this recipe only takes about 30 minutes to get simmering on the stove, its an easy weekend recipe that will make the whole house smell amazing. To start the chili saute the onions and garlic in a dutch oven over medium-high heat until the onions are translucent. Add all three different kinds of meat, be sure to remove the casing from the sausage and break all the meat up well mixing and cooking through. Add in the spices and stir for two minutes. Mix in the cocoa powder, crushed tomatoes, diced tomatoes, chicken broth, beer and tomato paste. Simmer over low heat for 1 hour and 15 minutes. Mix in the beans and simmer for 5 more minutes. Season the whole thing to taste with plenty of salt and pepper. Put in a bowl and enjoy with a slice of bread or topped with some cheddar cheese or crackers. Heat oil in heavy large Dutch oven over medium-high heat. Add onions and garlic. Sauté until onions are translucent, about 8 minutes. Add ground meat and sausage and sauté until brown, breaking up meat with back of spoon, about 5 minutes. Add chili powder, cumin, basil, oregano and thyme. Stir 2 minutes. Mix in crushed tomatoes, diced tomatoes, chicken broth, beer, tomato paste and cocoa poweder. Simmer until thickened to desired consistency, stirring occasionally to prevent sticking, about 1 hour 15 minutes. Mix in beans. Simmer 5 minutes. Season to taste with salt and pepper. The chili can be prepared 3 days ahead. Refrigerate until cold, then cover. Rewarm over low heat before serving. “The French macaron is a sweet confectionery made with egg whites, icing sugar, granulated sugar, almond powder or ground almond, and food coloring. The macaron is commonly filled with buttercream or jam filling sandwiched between two cookies. Macarons can be found in a wide variety of flavors that range from the traditional (raspberry, chocolate) to the new (truffle, green matcha tea). The fillings can range from jams, ganache, or buttercream.” French macaron definition from Wikipedia, read more of the description here. French macarons are not to be confused with the macaroon which is a clump of shredded, sweetened coconut that is baked. French macarons are a delicate and sophisticated version of the more humble and larger whoopie pie (of which you can find anywhere and in any flavor here in Lancaster County). Two weeks ago, I spent a wild Wednesday night making three different kinds of French macarons to be served at my mother’s 50th birthday party. You can read more about the party here. Because the colors of the party were Fall orange, chocolate brown and cream I choose to make vanilla, chocolate and orange macarons. I made the chocolate macarons back in June and knew they were delicious but this was my first attempt at the vanilla and the orange. The whole process for all 3 batches took a long time (about 4 hours) but ended up being relatively simple. All French macarons are made the same way by first mixing together the dry ingredients, whipping the egg whites into a French meringue and then gently folding the two together to make the macaron batter. One important step in making macarons in putting the almond flour and powdered sugar into a food processor to mix thoroughly. You want the flour mixture to be a light and fine as you can get it and mixing in the food processor combines the dry ingredients to perfection. I tried once, to use a whisk to combine the almond flour and powdered sugar in order to skip having to wash the food processor, the macarons were horrible! Once the dry ingredients are combined, set aside and make your meringue. Meringue can be quite temperamental, I advise make it when it’s dry outside and not humid or raining. Beat the egg whites until soft peaks form. As the mixer continues to mix, slowly add the white sugar to the egg whites and beat until it looks smooth and glossy and forms stiff peaks. If you’re coloring the macarons with food coloring this is the time to add that color. I only added color for the orange flavor. This is also the point at which I added vanilla extract for the vanilla macarons. Now its time to fold the dry ingredients with the meringue. Be careful not to over beat the batter. It will appear grainy and even a bit lumpy, that is OK.
Here’s a little trick I saw on the Food Network once to help with getting the batter into the pastry bag or in my case a Ziplock freezer bag. Wrap the bag around a measuring cup, pulling it over the sides and scoop in the batter. Then pull the sides up around the batter and pull out of the measuring cup. Snip off a tiny bit of the corner of the bag and you’re ready to pipe out the macarons. Pipe out the macarons onto a sheet pan lined with parchment paper, you want them to be about the side of a quarter. This next step is maybe the most important; you must leave the macarons to sit on the parchment for about 30 minutes before baking. This allows them to set, decreases air bubbles and helps them keep their nice edges when they bake. They are ready to bake when you can touch the top of the uncooked macaron lightly with your finger and it does not feel sticky anymore. It usually takes about 40 minutes for my trays but humidity will also play a role in the waiting time. Once they have set, bake them for 12 minutes. To cool gently slide the parchment paper onto a cooling rack. Once the macarons are completely cool, they will slide easily from the parchment paper. While waiting for the macarons to cool, mix up the filling or in the orange flavor’s case get out the orange marmalade. Macaron fillings can be a wide variety of fillings from frostings to buttercreams to ganache or preserves; but I assure you they are all delicious. Using a butter knife, spread the flat side of a macaron with the filling and sandwich another macaron onto it. You can notice on the chocolate that sometimes the macarons can slide when you sandwich them together. Don’t worry they will still taste great and they will set and get pretty firm and stuck together when left overnight. Another important thing to note about French macarons is that you should make them 24-48 hours in advance. They are the perfect party food because you can make them 2 days before and they will still taste great! It is true, the French macaron is the new “it” food; it is popping up for dessert in restaurants and bakeries everywhere. Where have you seen macarons lately? Every had a truly French macaron? There truly is nothing like them. Favorite flavors? All three recipes I used are from the cookbook Macaroons (yes, I’m aware that it is spelled incorrectly but the book was on sale for $6 when I found it, so the spelling didn’t seem to matter much). Unfortunately, because of the copyright I cannot type them out for you here to use for yourself but I’m sure that you can find you very own French macaron recipes very easily online. Let me know if you can’t and I’ll point you in the right direction. For in-depth macaron information please check out the blog Syrup & Tang; this tutorial was incredibly informative and taught me a lot before I attempted macarons on my own. I’m thrilled that macarons are the new thing. Embrace them and try a batch for yourself, all your friends will be ridiculously impressed! Being a lover of breakfast and more specifically pancakes, my mouth instinctively began to water and I had to find out where this image and more importantly this recipe came from. After clicking the image a few times, I was taken to the deliciously inspirational blog Crepes of Wrath. Needless to say, I had found my inspiration and whipped up a batch of these delicious pancakes for Eric and I last weekend. My blog post, I’m sure will look very similar to hers, but this is her recipe and we loved it! I’ve also added Crepes of Wrath to my blogroll on the right hand side so you can easily click over and check out what she’s cooking up. I really enjoy her blog, thanks Sydney for the great reads and even better eats! Here is my recount of making these awesome pancakes. The first thing you must do is make the bacon. Everyone prefers their bacon cooked a certain way, but I have found that the fastest way to prepare the most bacon well is in the oven. Heat up the oven to 400 degrees and line a rimmed baking sheet with foil. Top the foil with a rack and place the bacon directly onto the rack. Place the rack in the preheated oven for 15-20 minutes; take it out when it is your preferred crispiness. Mine typically takes 15 minutes at the most. Cool the bacon and then dice it up. It’s time to make the batter. In a large bowl, whisk together the dry ingredients. In a medium bowl mix together one bottle of beer and egg yolk and vegetable oil. Keep the egg white separate and whisk it until its frothy. Fold the wet ingredients into the dry and add all but about a tablespoon of the chopped bacon. Be careful not to over mix the batter, it will look thin and even a bit lumpy. Cook the pancakes on a griddle pan heated over medium heat for a few minutes each side until golden brown. To serve, top with a nice hunk of butter and some pure maple syrup, then sprinkle with the diced bacon pieces that were saved. The combination of the salt and sweet with the additional of the hoppy beer is even better than you are thinking it is right now, in fact not only did I get the approval from Eric to make this dish again, he even said that these may have been the best pancakes I have ever made, and I make a lot of pancakes. I hope you get the chance to enjoy a big and tasty breakfast this weekend! Cook your bacon. You can either do it the traditional way in the pan, until crispy, or you can do it in the oven, which I find produces better results. First, pre-heat your oven to 375 degrees F. Simply line a baking sheet with foil, then place a cooling rack on top. Spray with non-stick spray, then lay the bacon over the cooling rack. Bake for 20-25 minutes, until it has reached your desired level of crispiness. Set aside to cool, then dice. Whisk together your flour, sugar, baking powder, and salt in a large bowl. In a medium sized bowl, whisk together the egg yolk, the beer, and the vegetable oil. In a small bowl, whisk the egg whites until foamy and add them to the beer mixture. Gently whisk the beer mixture into the flour mixture, until just combined. Fold in the diced bacon. Heat a large pan over medium-high, until hot. Grease your pan with either non-stick spray or butter. Scoop 1/4 cup of batter for each pancake and cook for 2-3 minutes, until bubbling on one side. Flip the pancake and let cook until golden, pressing down slightly with your spatula on the top of the pancake. You can place your pancakes in a 200 degree F oven to keep warm while you cook the rest of the pancakes. Serve with a little butter and lots of syrup. While having a delicious dinner last night with friends at Iron Hill Brewery (they’ve got their Oktoberfest Brew in if you’re interested) our friends informed us that there is some sort of pumpkin shortage due to the crazy weather we’ve been having lately. And by crazy I’m referring to the recent earthquake, hurricane and massive flooding we’ve experienced in the Northeast over the last month. I was shocked, SHOCKED! and began to worry. My mind raced through all the glorious pumpkin treats I love; cookies, bread, pie, scones and even risotto. The fear of no pumpkin began to set it. I was told that if I wanted pumpkin puree I’d have to make it myself! I’ll be honest, I love to cook but this sounded incredibly time consuming and I have gotten so used to the beloved canned pumpkin puree taste that I do not want to make my own. I want to walk into the grocery store and buy my giant can of Libby’s like every other American! This morning I began scouring the internet to see if these terrifying pumpkin rumors could be true. I found one story that discussed the fact that Jack-O-Lantern pumpkins were in very short supply in the Northeast but that the Libby’s plant had put out a press release saying they were not experiencing a shortage of pumpkin, at all. Read this story here. The only other pumpkin shortage information I could find was about the pumpkin shortage of 2009. I remember that one well and stocked up on enough pumpkin to last me about a year, apparently I should have bought more! Now I need to find out what truth there might be to this horrible rumor. Has anyone else heard about this? Have you been able to get any Libby’s in the grocery store? This is a pumpkin emergency! While my mom enlisted the help of our whole family for putting on this soiree, I helped her work out some logistics for rentals and things but ultimately offered to provide her with the cake. Since I love cake, I knew that I could make something delicious and the challenge was exciting for me. The one variable that I could be sure of was that the cake had to be chocolate. My mother is a card carrying chocoholic, the more chocolate the better. She is the woman who orders the chocolate layer cake with chocolate fudge filling and a side of chocolate sauce without blinking. The next variable, was that she told me she was was expecting 60-70 people! Suddenly my 10-12 slice 9 inch round cake seemed extremely small for this occasion. When it comes to stressful party prep, I’m one to go the easy route and I quickly put up the white flag of surrender by calling my absolute favorite baker to see if she could fit this cake in at the last minute. Rosie from Rosie’s Creative Cakes, who coincidentally lives about a mile from me, saved my life and informed me that she could bake the cake! Crisis averted. Sidenote: I’ve tasted alot of cakes from many Lancaster bakeries and Rosie’s cakes “take the cake” anyone, anyone?? no, bad pun? Not only are her cakes beautiful but they are moist and delicious. I don’t know how she does it but each time I eat her cake I think it tastes better than the last time. If you ever need a cake go to Rosie, take my word for it, you won’t regret it. I decided to keep the cake a secret from my mom until the day of so that she would really be wowed and felt a little bad that she thought I was spending so much time and effort making cake for so many of her friends. To clear my conscious, I decided to make French macarons in the colors of the party, vanilla, chocolate and orange. As I began to plan those out, I also decided that the dessert table needed more and made the move toward a full on candy buffet around the cake. I already had alot of glass vases and jars from a holiday party I threw last Christmas so I used them all and a few new ones to fill with orange, white and chocolate candy. I also stopped by Michael’s and picked up a template for candy buffet labels (in the wedding section). They had a template for orange and tan labels that matched everything perfectly. Suddenly, it was Friday night and we were dressed and on our way to the party. I arrived 30 minutes early to set up the dessert table. The cake was beautiful and my mom was so impressed with everything. All of the elements of the table came together even better than I planned. Here is a good picture of the cake, the flavors were chocolate cake with raspberry Chambord filling and chocolate butter cream icing. I was able to find orange slices, orange and root beer jelly beans, chocolate covered pretzels drizzled with orange chocolate, peach licorice, Fall Hershey’s Kisses and Fall colored nonparels (my mom’s favorite!). The table was filled with tasty treats and all the colors looked great together! I couldn’t have been more pleased with how everything came together. My mom had a wonderful party and she couldn’t have been happier with how everything turned out. Everyone kept asking where the cake was from and telling me it was the best cake they had ever tasted (Thanks Rosie!). Happy Birthday Mom, here’s to being fifty and fabulous! PS – I’ll be writing up a whole post on making French macarons complete with the recipes I used, so stay tuned! As promised last week, here is the run down on the food at Grand Tetons National Park. Eric mentioned, the food in Grand Tetons National park was far and away better than the food found at Yellowstone. Yellowstone has a contract with a resort company who maintains almost all of the park’s food. Because of this contract, not only is the food terrible but it is also the same throughout the park. Grant Tetons national Park is completely different in the food department. There are a few different places to stay and by that I mean lodges owned by different independent companies. At these lodges you can find hotel-like lodging, cabins and places to camp in both tents and RVs. As Eric mentioned we were in cabins at Signal Mountain Lodge right on the shores of Jackson Lake. 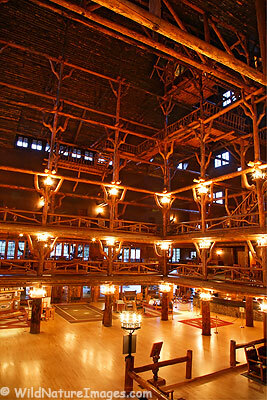 At Signal Mountain Lodge, there are three different restaurants located in the main lodge building. We ate in both the bar and the named Deadman’s Bar which had a nice sandwich and local beer menu, one night. Each morning we ate breakfast at the Trapper Grill Restaurant, located in the same building as the bar and other restaurant. There are large windows with a beautiful view of the mountains and the lake. The menu was incredible with both egg options and some specialty items like blackberry stuffed French toast (which Eric ordered and thoroughly enjoyed). The menu also offered buffalo sausage as a upgrade and Eric said it was delicious. I liked that the menu offered delicious and healthy choices and ordered Irish Rolled Oatmeal with a side of fruit two of the three mornings. I would highly recommend the Trapper Grill to anyone heading to Grand Tetons. Another place that Eric enjoyed introducing me to was the Jackson Lodge. He had been there as a kid and enjoyed the view from its windows along with some delicious milkshakes. At Jackson Lodge they also have a few restaurant options. The first one we tried is a lunch counter style restaurant called the Pioneer Grill. The have a nice menu of what I would qualify as “diner style” food. Eric got a milk shake just to confirm that they are still delicious, confirmed! We also shared a plate of chili fries and I enjoyed their huckleberry ice cream. The best restaurant we ate in was on our final night in Wyoming, again at Jackson Lodge, in their restaurant called the Mural Room. This restaurant had gotten very good reviews on Travel Advisor but they all mentioned the high prices so we chose to save it until the end of our trip. Let me say the whole experience surpassed our expectations. The atmosphere of the restaurant was calm and quiet and there is an entire wall of windows looking out onto the mountains. Our waitress was very good and knowledgeable about the menu. We started with buffalo carpaccio. The meat was so thin and deliciously perfect. Sprinkled with a bit of parmesan, tossed greens and a sweet tomato relish; an amazing combination. I ordered the steak for my main course. This was the best steak I have ever had in my life. The term “like butter” is perfect for this steak. I have never eat a steak this quickly in my life, I also appreciated the simplicity of the dish as it had few sides to compliment the meat. Eric ordered elk; it was prepared rare and served with a huckleberry sauce. He also ate every last bite and enjoyed it completely. We both ordered our own desserts and Eric ordered banana fritters (deep fried bananas with a chocolate sauce) and a Bailey’s milkshake. He said the fritters tasted like tiny funnel cakes! I ordered huckleberry chocolate chip bread pudding with huckleberry ice cream. Not only was it moist and delicious but the ice cream came in a candy dish made of huckleberry candy. We had a wonderful last dinner at the Mural Room and yes, it was pricey but after a whole week of some unhealthy and some pretty bad food it was worth it! If you find yourself in Grand Tetons National Park be sure and stop by the Jackson Lodge for a great meal! After three awesome nights at the Old Faithful Inn in Yellowstone, Marah and I headed down the road to our next adventure at the neighboring Grand Teton National Park. The Teton Range represents the newest part of the Rocky Mountains, geologically speaking. The mountains reach up to 13,775 feet in elevation, which is up to 7,000 feet off the floor of the beautiful Jackson Hole region. Our stay at the National Park was in a rustic cabin at the Signal Mountain Lodge. Interestingly enough, this was the same place my familly stayed the summer of 1988 when I was six years old. The cabins were just as I remembered, and the lodge was just the same, perfectly situated on the banks of Jackson Lake, and at the foot of Signal Mountain. Again, we had no TV or radio in our cabin, but had we needed contact with the outside world, there were TV’s in the lodge great room, and even WIFI (so not exactly 1988). The Tetons don’t have the magnificent geyesers or wondorous mineral springs of Yellowstone, but what it lacks in hydrothermal explosions it makes up for with spectacular views. While Marah and I did not partake in the fishing, or camping, we were out and about, and I was on a mission to see the mountains in an up close and personal way. We decided to take a hike up casscade canyon and all the way to lake solitude. This is an 8.1 mile uphill hike, at elevation. It was breathtakingly beautiful and actually not as difficult as we thought it would be… (famous last words). At this point, we made a fateful decission to continue over the paintbrush divide and hike back down paintbrush canyon to the car. On the map it looked as though we were headed back the faster way, and at the same time seeing new sights we hadn’t seen before. Unfortunately, we failed to realize we would be climbing up to 10,700 feet and making what should have been a nice round trip 16 mile hike, into a gruelling stress inducing 20 miler. We made it all the way, it was amazing, and we were both completely exhausted. On the way, we saw a moose, a nice 12-point mule deer, a couple marmot, and several pika. We did not see a bear, although there were reports of a familly of grizzlies moving around very close to our cabins. During the rest of our time in the Tetons we enjoyed the boating on Jackson Lake, made several trips to the Oxbow bend looking for wildlife and made a trip into the town of Jackson. Jackson is the quintessential western mountain town, and the Teton Village ski area has all of the modern niceties of a five star resort area (including a Four Seasons Hotel… in case the rustic cabin idea isn’t for you). Marah mentioned the food being much better in the Tetons that at the neighboring Yellowstone Park, and it is very true. I will let her get into the details of our final meal at the Jackson Lodge, but I will say that I was very impressed with the amount of locally grown, farm fresh, organic, and sustainable options at both the Jackson Lake Lodge and the Signal Mountain Lodge. I know we haven’t talked extensively about those causes on the blog yet, but it is something Marah and I advocate, and it is always something worth noticing when you are out to eat. Not surprisingly, the flavors were great and the food was very well prepared. Below I have inserted some of the pictures, but it is hard for any photo to do the mountains justice (You might just have to see them for yourself). Marah enjoying Jackson Lake boating! We choose to go the less expensive route and stayed in one of the original rooms of the inn which meant we also had to share a larger dormitory style bathroom down the hall. We had a sink and mirror in our room but had to go down the hallway to use the shower or toilet. I was a little concerned but the whole set-up worked out fine and we really enjoyed the nightly rate of $96! Being a history lover, I also love thinking about the first tourists who stayed in the inn arriving by train and stagecoach and sharing restrooms like we did. The three floors of the lobby are not only beautiful, they have couches for guests to sit on and wooden desks with Tiffany style lighting attached. Thomas Moran painted these famous falls and sent the paintings back East to boost tourism. It worked like a charm! These are just some of the incredible things we got to see but I’m sure you’re wondering about the food we ate. I must say that we did not choose Yellowstone as our vacation destination for the food. On travel sites, the reviews of the food in Yellowstone were all poor so we didn’t expect much and all the reviews were correct. Yellowstone’s food is managed by a resort company and I’m not sure about all the details but apparently they have some sort of deal in which there is no motivation to produce good quality food so they don’t. The main restaurant in the Inn is primarily a buffet establishment whose food compares to a cafeteria and we discovered that the best food in Yellowstone is found at the General Store next to the Inn. There is a small soda fountain that serves breakfast, lunch and dinner and we ended up eating there for every meal except for the very first one. The first meal was at the Inn and we discovered how truly horrible the food was; we ate in the lounge and each had a hamburger. The menu only had three sandwiches on to choose from (talk about slim pickins!) and all were pretty gross; hamburger, grilled chicken or eggplant. Go to Yellowstone for the geysers and the amazing landscape, there is truly nowhere else like it on earth. Do not go to Yellowstone expecting good food. In case you can’t read the tiny print, the sign says to be Bear Aware! After two bear related deaths in Yellowstone this year, I was more than a little nervous about encountering one while on our trip. Speaking of being back in action, I’ve been making slight edits to the blog and added a Subscribe link on the right hand side. If you want to get an email notification each time I add a new post, simply click on the Subscribe button and sign up! We’ll be back soon with our Western Adventure!